The inn door opened with a creak. A hooded figure in dark purple entered the room. Lifting her head, her shining garnet eyes took in the scene and she almost fled back the way she came. Hastily, she closed the door behind her, and stepped aside, least anyone yelled at her for letting in a draft or being in the way. 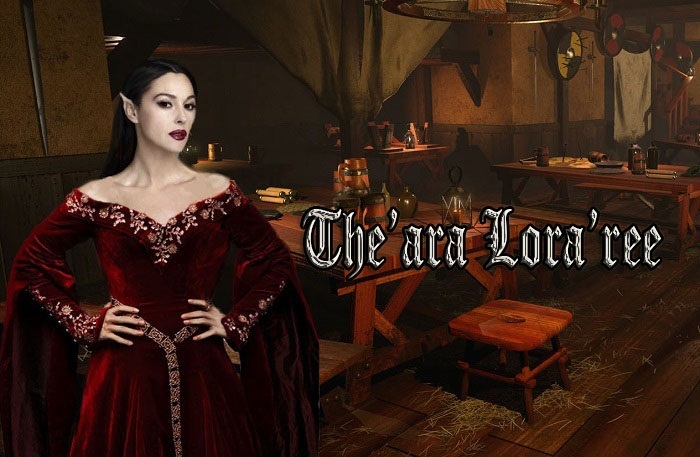 The'ara Lora'ree scanned the room around her and decided to take the table furthest away from company, but one that would allow her the best view to people watch. Having found one such a spot, she darted in a near panic to claim the seat, as if once seated, she could blend in and no one would pay her any mind.